Socially Elite: What can Social Outreach do for your business? Comments Off on Socially Elite: What can Social Outreach do for your business? Reaching your target audience through social has become more and more difficult. The fact is, your voice gets lost among the thousands of other brands floating in the sea of Social Media. With Facebook updating their algorithm to ensure brand messages have little visibility without paid support, can you compete without spending a fortune solely on paid support? Well, yes you can – don’t put all your eggs in one basket. Even if you’re fortunate enough to have an interesting message that your audience may have a need to listen to, that doesn’t mean they will – regardless of your product or service. More and more brands have understood this and instead of reverting back to relying on heavy paid support using their own largely unnoticed voice – they decided to get a new voice. Social Outreach means reaching out to a person or people who have an impact on Social Media – i.e. they are influencers. If you are targeting a younger demographic then Social Outreach is a particularly important activity to consider. Variety magazine stated in July 2014 “…the five most influential figures among Americans ages 13-18 are all YouTube faves, eclipsing mainstream celebs including Jennifer Lawrence and Seth Rogen.” That may seem like just another statistic to you, but if you stop to consider the amount of money, PR and professionals that it takes to create and maintain a celebrity status in the USA – and compare this with the budgeted videos being made in bedrooms of teenage kids, then we can really see just how influential Social Media personalities can be. And it’s not just younger kids – there’s a large 20’s and 30 something year old pool that are engaging with the fitness influencers, the DIY and homeware influencers etc. How Does Social Outreach work? Approaching a Social Media influencer is no easy task. Depending on how influential they are – they are likely to receive messages from brands a lot. Payment is often required and usually Social Influencers like to engage with a product they believe in – so you’ll need to give them a reason (other than payment) to engage with you. If they are willing to support a product of service in the eyes of a following they’ve spend years building – then they must believe in this product and it’s your job to convince them. YouTube Vloggers like Zoella (boasting 2,185,751 Facebook Fans, 4.5 million Instagram followers and over 8 million YouTube subscribers) are constantly approached by big brands to help launch and promote new products. 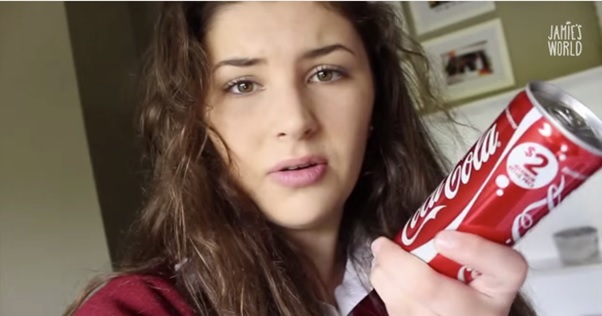 Coca Cola Australia recently reached out to YouTube sensation Jamie’s World. Jamie has 1.2 million YouTube Subscribers across the globe and her resonance with 13- to 24-year-olds caught the attention of Coca-Cola Australia, leading the drinks company to collaborate with the teen. If you are a local brand here in NI/Ireland you’re probably wondering if Social Outreach is for you. The examples given here today have looked at global stars and if you believe that these isles don’t have such influencers, you’d be mistaken. Self-confessed fitness junkies, beauty bloggers, style kings and queens are all alive and kicking here in NI and with a huge Social and relevant social following. If you think Social Outreach could be for you, we can help you make a plan. Of course, there are no guarantees with Social Outreach but it does help to be in the know and here at So Social – we happen to know quite a lot! Get in touch today. Keep up to date with So Social Marketing news via our Social Media channels. Facebook rules and regulations have changed dramatically over the years, none more so in the last year. With these changes come questions. I get asked regularly what are the secrets to using Facebook for business and although I don’t have all the answers I am going to share with you some Facebook business failures I see more than often.